Maryland walked away form Monday's game against Miami victorious. Their uniforms were not as lucky. 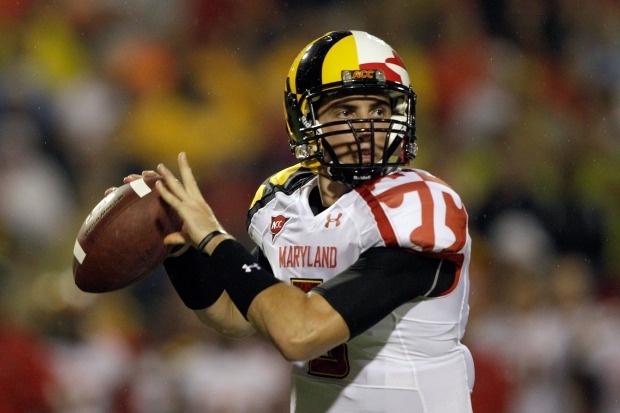 Maryland opened the season in one of the 32 uniform options created for them by Under Armour. The public reaction was instant and intense. The uniform design was a Two-Face style interpretation of the Maryland flag and it was clear that they were a love-it or hate-it choice. Coach Randy Edsall defended the colorful gear. "I was proud that we kept this under the lid," he said in an interview on ESPN. 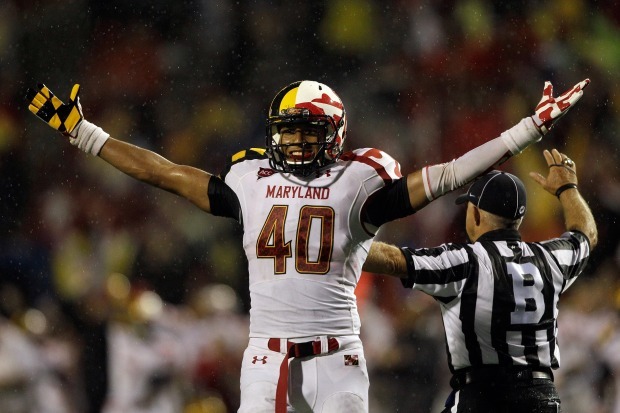 "This is our pride uniform -- Maryland pride. This is part of the new branding we're doing here. We want to incorporate the state colors and let everyone know we are playing for everyone in the state." Maryland's unique football uniforms are generating a lot of debate, but how were they received on campus? If you hated them, don't fret. There are 31 other combinations available to the team. There's no way they can all be losers, right?